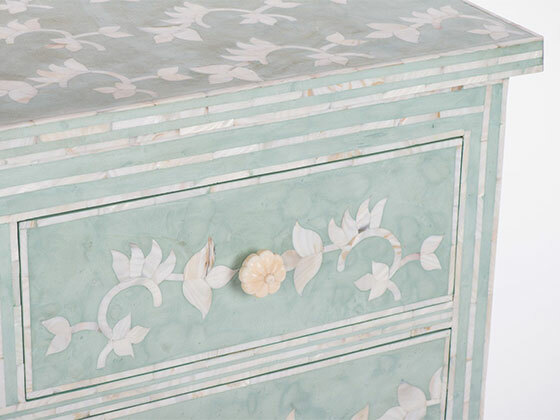 Bone inlay and mother of pearl play a starring role in highlighting the Mint Chest’s beauty. 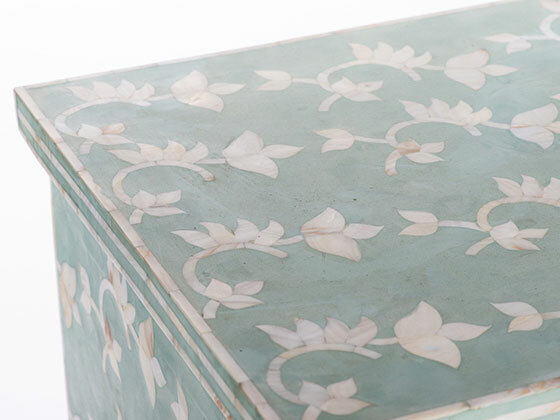 Set against a mint hued backdrop, the bone and mother of pearl are hand inlaid in an abstract floral print throughout the sides with trim accents along the edges. 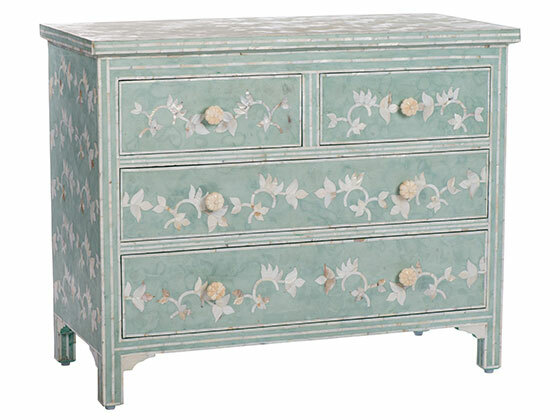 42” W x 20” D x 34” H. Also available in white. 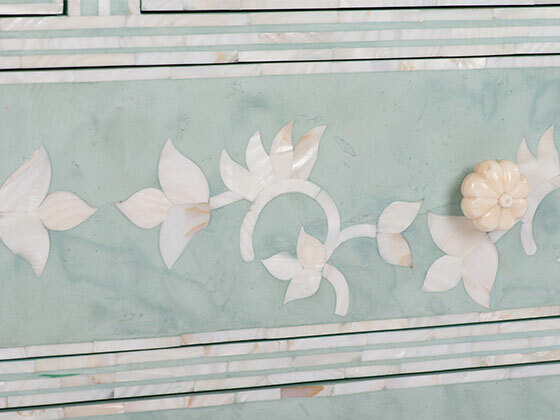 Please email melea@meleamarkell.com for designer/retailer pricing and product inquiry.